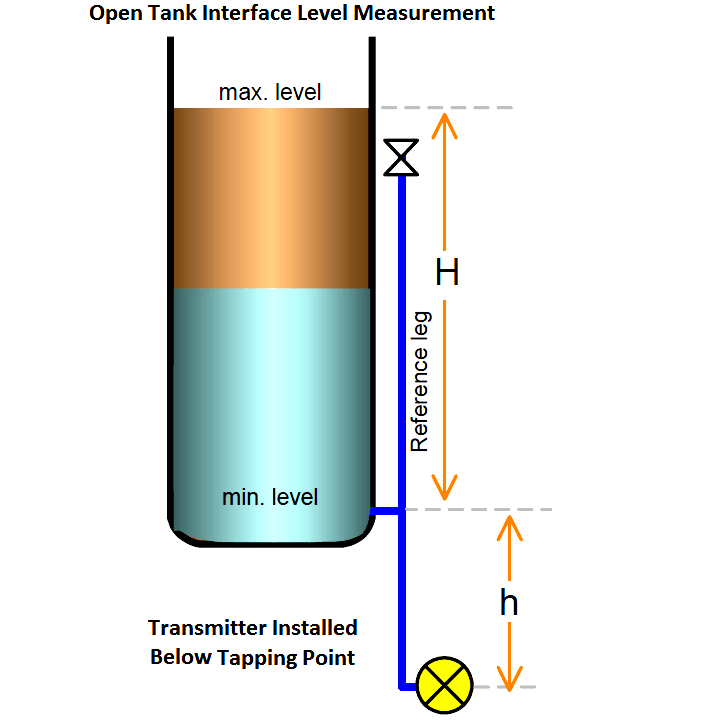 Interface level can be measured in a vessel or tank using differential pressure transmitter or pressure transmitter. 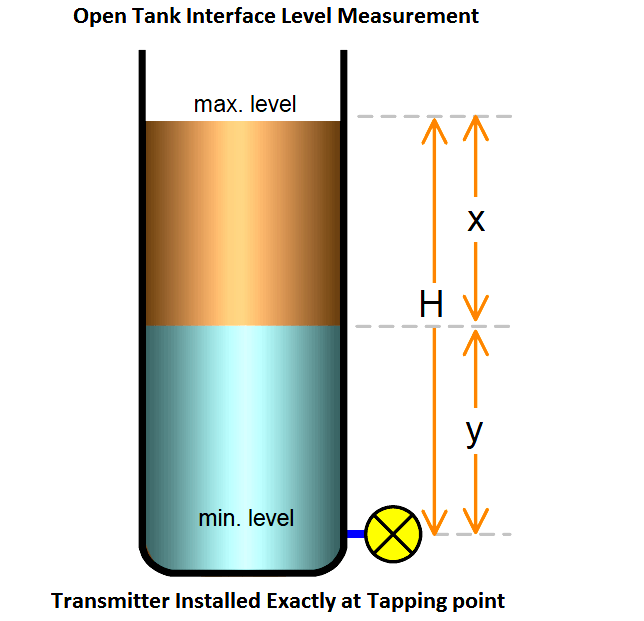 An interface level measurement is only possible if the densities of the two products in the tank/vessel remains same. 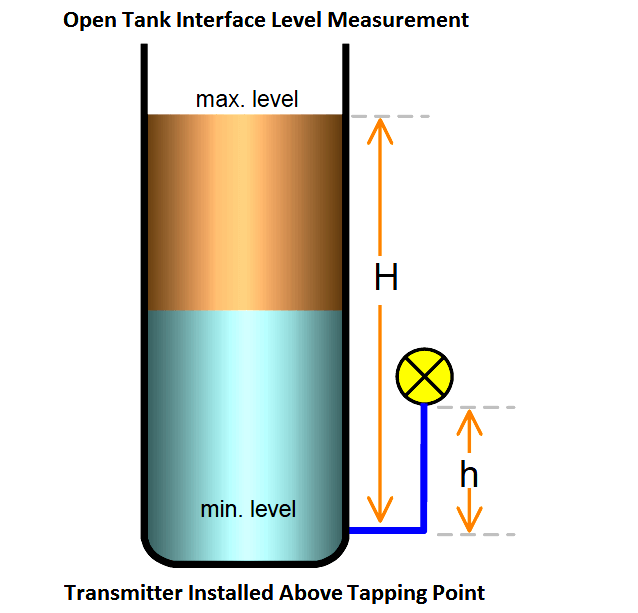 if we are using DP Transmitter then the HP side is connected to the tank tapping point and LP side is vent to atmosphere or we can use a pressure transmitter also.